U.S. POLO ASSN. Girls 2-6X Two-Piece Set Only $6.80! You are here: Home / Great Deals / Amazon Deals / U.S. POLO ASSN. 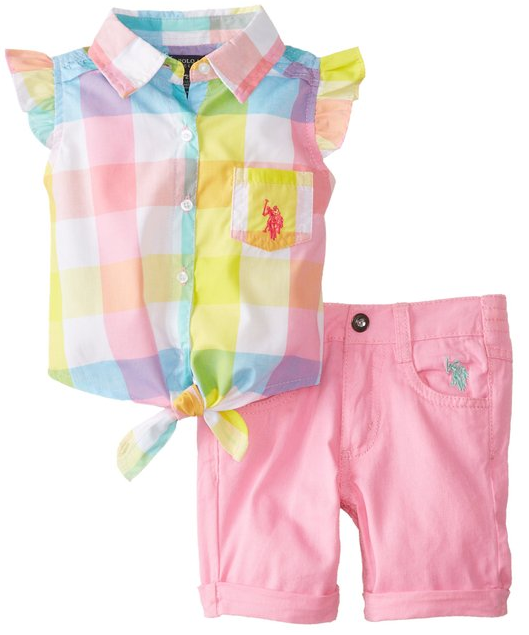 Girls 2-6X Two-Piece Set Only $6.80! U.S. POLO ASSN. Girls 2-6X Two-Piece Set and it’s Only $6.80! If you have Amazon Prime, you even get FREE shipping! 30 day trial to take advantage of this deal before it’s gone! You can still get FREE shipping with this with any order over $35 as well.